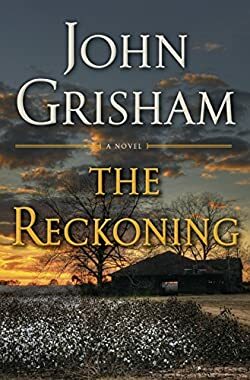 John Grisham (website) is a popular author of legal thrillers such as The Pelican Brief, The Firm, A Time To Kill and The Client, many of which have been brought to the big screen. John Grisham was born in 1955 in Jonesboro, Arkansas. After graduating from Mississippi State University, he attended the University of Mississippi School of Law, after which he worked as a criminal lawyer. Between 1984-1990, he served in the House of Representatives in Mississippi. Having been a criminal lawyer for about a decade, the author has plenty of knowledge to infuse his books with, and this shows greatly. No wonder so many of his books have been adapted to movies, as they are not only chilling and suspenseful but also very realistic. Along with Tom Clancy and J.K. Rowlings, John Grisham is one of the few authors who has sold 2 million copies of first printing books. His first novel, A Time To Kill, published in 1989, 4 years after he started writing it, has an interesting genesis. Having been a lawyer for so many years, one day he heard a young girl telling her story to the court, and he got so interested that went to listen to the whole case. And so his first idea for a book came to life. As soon as he finished writing A Time To Kill, he was already working on his second novel, The Firm – which ended up to be pretty much the book that propelled him into instant fame. Even if you’ve never read The Firm, I’m sure you’ve at least watched the same titled movie with Tom Cruise. Until 1996 the author got the serious writing fever and wrote a novel a year. In 1996 he took a small break from writing to go back to being a lawyer with a case that he won. However, his main career nowadays is still writing books (“thank God for that” say all his loyal followers). John Grisham’s latest book is The Rooster Bar, is the second in a new legal thriller series. In terms of reading the books in chronological order, The Rooster Bar takes Place before The Whistler. Here are all the John Grisham books in order. Most of his novels are standalone books, so they can be easily read in any order that you choose; however, if you are like me (and other ‘reading in order’ lovers), you will find this list quite useful. I put it together a while ago and kept updating it in a Word document on my computer, as the author has written so many books, I really didn’t want to miss out on any of them. Theodore Boone is a young guy of age 13 who spends more time in courtrooms than anywhere else. While he is not a real lawyer, he loves giving advice to anyone who is asking.